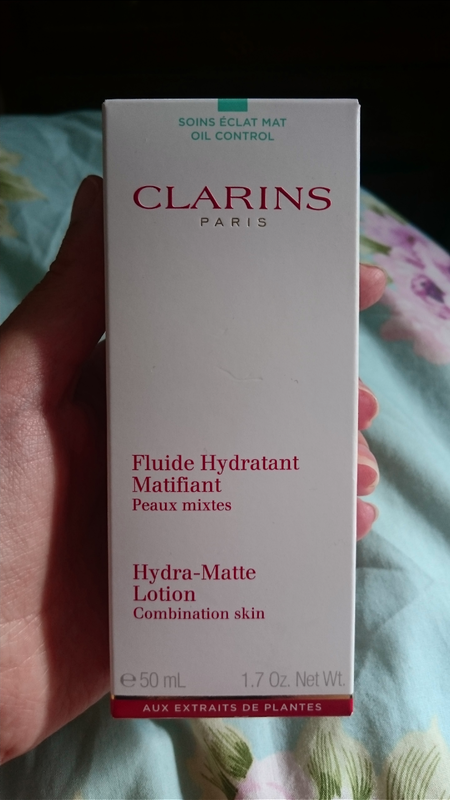 On Friday 19th August, I had the opportunity to attend a +Clarins ‘Busy Bee’ promotional evening at the Clarins Skin Spa located in John Lewis at The Centre:MK. 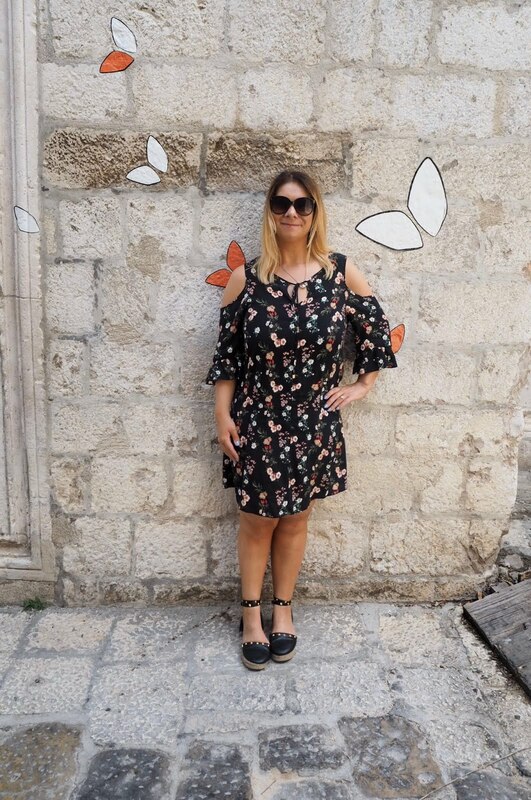 The event was arranged through my work and for a redeemable £10 booking fee, included a luxurious 45-minute pampering treatment, which combined a mini facial, back scrub and eye mask. – An all over back scrub to renew the skin followed with application of our essential body oils and creams to leave you beautifully smooth, soft and nourished. – A décolleté, neck, shoulder, hand & arm massage to relax your upper body and relieve the stress and tension from the day. The spa area, privately located up a set of stairs near the Clarins Beauty Bar has modern, white and red signature Clarins decor with its own seated waiting area where therapists take details of any skin ailments prior to treatment. My therapist, Christina examined my skin and asked about my current beauty regime. Noting my concerns in relation to my oily T-zone, Christina selected products for the treatment that would draw out any impurities, clear the skin, leaving a shine-free finish. The dimly lit treatment room had a selection of fresh towels and Clarins products laid out for my arrival with soft, soothing music being played from the Ipod dock creating a relaxed ambiance. Christina customised my facial, following the evaluation of my skin and began with the removal of makeup and cleansing of my skin to prepare it for the treatment. My face was buffed and exfoliated to remove any dead skin and then massaged to enhance circulation as well as oxygen and absorption of the products. Intensive treatments were used and applied using various methods including soft brush strokes, followed by more rigorous massage techniques to target any pressure points on my face. One of the products used had a particularly soothing smell, which I believe was the Pink Clay and Nettle Mask. The mask was left on my face with an eye mask put on to soothe my tired eyes and Christina left the room for a couple of minutes to leave me to relax as well as give the mask time to work its magic on my face. I could feel the elements of the facial working, the tingling, moisturising and then tautening from the mask. The back and shoulder massage was more rigorous to alleviate the knots and my rigid posture following a day at the office and was just what I needed to unwind before the weekend. As I followed Christina out of the treatment room my face felt fuller, firm yet soft to touch and perfectly hydrated without leaving it shiny. I purchased the Gentle Foaming Cleanser used during my treatment and a Hydra Matte Lotion. The Hydra Matte Lotion is designed to calm irritations, tighten pores and control shine on the T-zone, giving a fresh matte complexion. 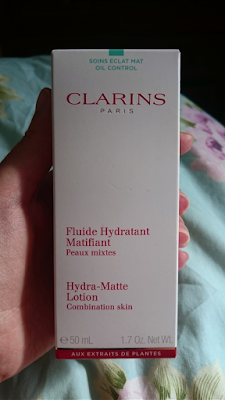 The £10 booking fee was redeemable against the products I purchased and as part of the event Clarins were offering one of their intensive Tri-Active facials and back massage for £50, a reduction on the normal price of £85. Not one to bypass a deal, I couldn’t resist booking a Tri-Active facial, especially as I was feeling so refreshed and relaxed from my ‘back to basics facial’. As I had spent £50 I also got this beautiful bag with some 15ml miniature products inside including the Antioxidant Day Cream, Multi-Active Revitalizing Night Cream, Gentle Refiner Exfoliating Cream and Blue Orchid Face Treatment Oil. I’m looking forward to trying these products at home and will provide a follow-up blog post in the next couple of months giving my opinion as to whether the products worked for me as well as sharing the details of my Tri-Active facial and back massage. Following my treatment my skin including my shoulders and back remained soft and hydrated for around five days after with a few blackheads drawn out on my chin. 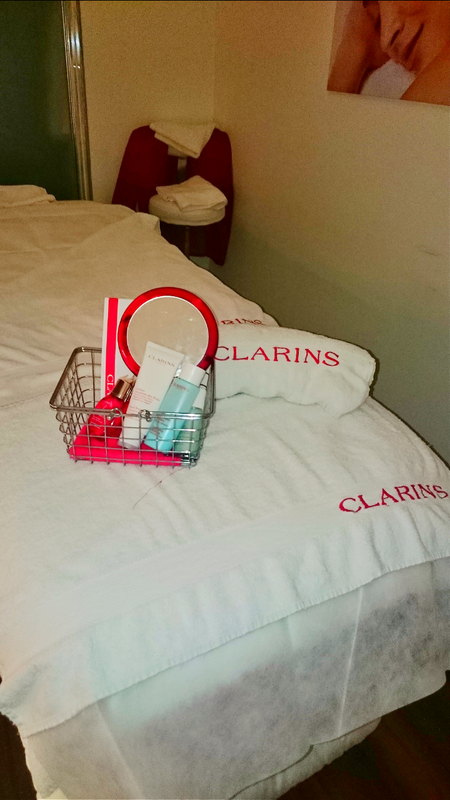 Shamefully, this is my first professional facial, though having enjoyed the tranquility of the Clarins treatment rooms it is certainly something I want to maintain for the future. Although, the £10 facial was offered through my work, Clarins offer deals periodically with a ‘buy four treatments get two free’ beginning on the 25th September, which may the ideal gift as we run up to Christmas. To book a facial or treatment at the Clarins Skin Spa at John Lewis Milton Keynes call Clarins reception: 01908 325388 or to find your nearest Clarins Skin Spa click here.